I used to live at 63rd street on the Upper West Side when I first arrived in NYC, yet I never came across this Starbucks before this week. Just a block away from Lincoln Center (and all the theatrics that come with it), this Starbucks is definitely in a prime location. 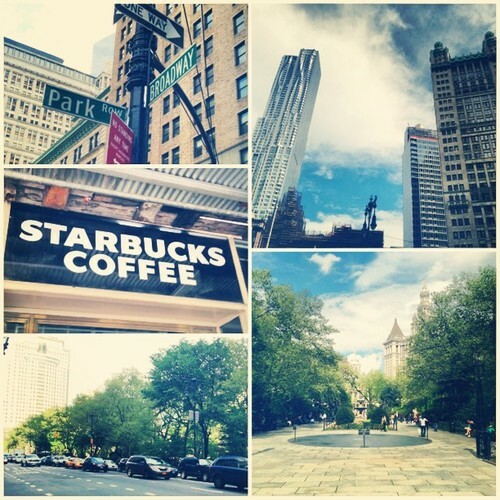 It’s also only two blocks away from Central Park and just north of Columbus Circle. Location – of course – isn’t everything. This Starbucks happens to have a very accommodating interior as well, with a long, expansive lounge and multiple arrangements of seating. You can grab a seat at the window, sit at the cushioned bench bordering one wall, plant yourself at the communal table in the center of the store, or even find a spot in a little seating nook that is pushed off to one side of the building. Today – however – I chose to make Central Park my ultimate destination. And can you blame me? Temperatures soared to 90s this afternoon – so far the year’s high. Also, I had the advantage of having this weekday off while most are cooped up in offices under florescent lighting. Because of this, Sheep’s Meadow (the largest and greenest area in the park) was barely occupied. So I was spared the hundreds of frolicking children and fellow sun-bathers. It was just me, the sun, and an iced coffee. 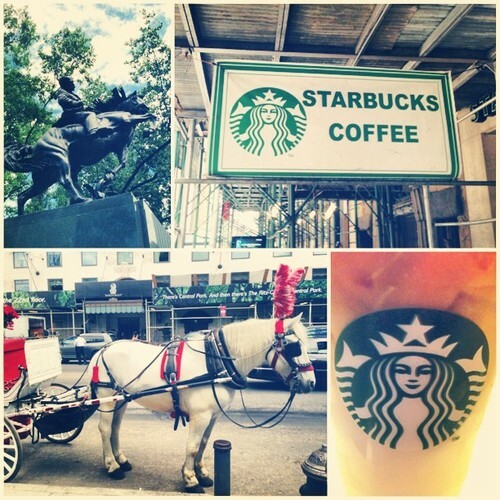 The Starbucks on 58th & 6th Avenue is directly south of Central Park. This beauty comes with a burden: the smell of horse sh*t.
It’s simply everywhere in the area. Those adorable horse-drawn carriages are cute and are no-doubt a treat for tourists and romantics alike, but they really have made that whole area smell to no end. 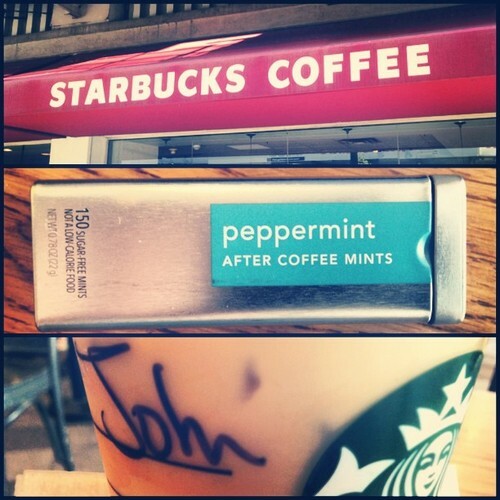 Luckily, we have places like Starbucks to dive into to avoid the stench. Unfortunately, the touristy crowd from the nearby hotels seems to haunt this location. So, I did what any other self-respecting New Yorker would do. I got my coffee to go and took to the park. Of course, I lingered just enough to take in the scene. This Starbucks would be a disaster if it were any smaller. It really is hit with a ton of people — both looking to stay and looking to just use the restroom. Luckily it’s long enough to contain the crowd and even seat most of them. There is even additional stools pulled up to the back portion of the barista bar. 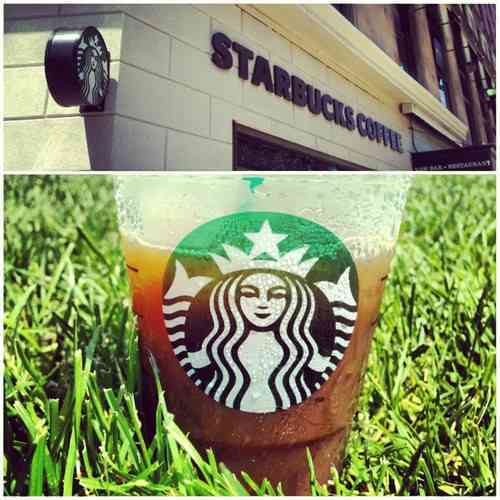 The lines were long, but I have a feeling this Starbucks sees its biggest crowds on sunny weekend days like today. 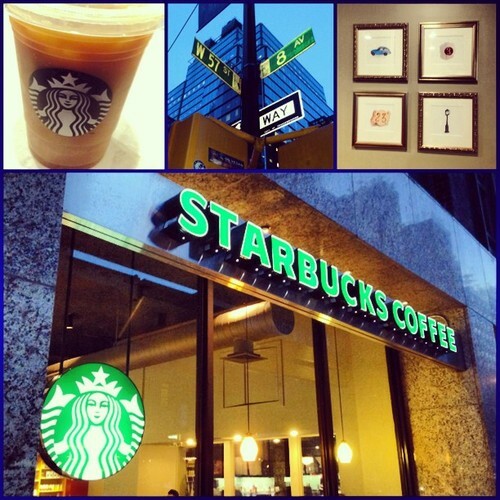 The Starbucks on 57th & 8th is the emptiest location I’ve seen since beginning this blog. Yes it’s 9pm on a Friday night, but still… there are plenty of Starbucks here in Manhattan that have long lines at this very moment. 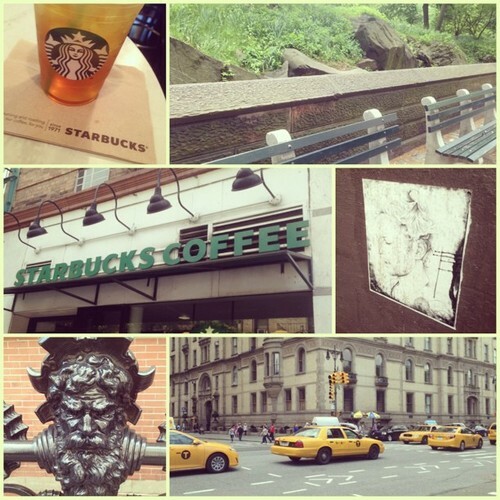 This Starbucks’ eerie emptiness is probably due to its vague placement on the NYC grid. It’s right near Columbus Circle but just south of it. 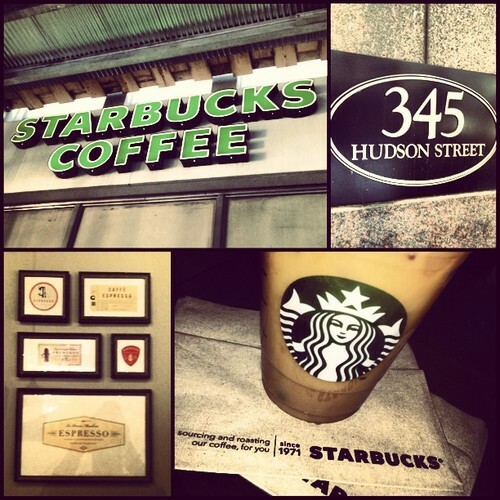 It’s a few blocks from the Theatre District but several other Starbucks are much more convenient for the Broadway-goers. And it’s pushed a little too far north to attract any of the crowds from Hell’s Kitchen. 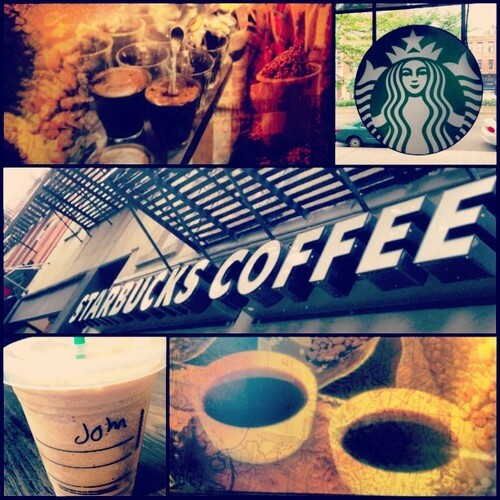 Starbucks is having another Frapuccino Happy Hour from May 3rd-12th. This basically gives anyone with a midday sweet tooth the benefit of enjoying any of their blended frapps for 1/2 from 3pm to 5pm. They started doing these a few years ago, and have periodically brought them back because — obviously — we just can’t get enough. While I never drink their frappuccinos on a day-to-day basis, I always get at least one whenever a happy hour rolls around. SO despite the fact that swimsuit season is right around the corner, here I am sipping down a Java Chip Frapp. I may tell myself that this is for blogging purposes solely or that I’m being fiscally responsible, but honestly this is just an excuse to enjoy an old guilt pleasure. 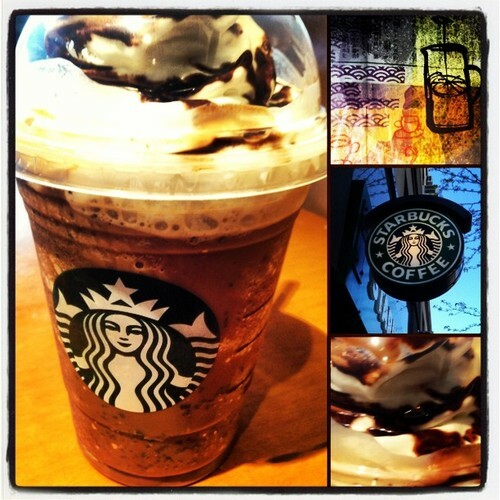 Never tried a frapp? You have until May 12th to sample one for 1/2 off. 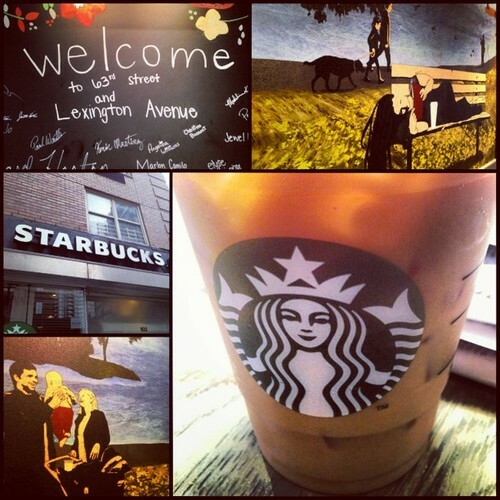 While I thoroughly enjoyed my frappuccino, the Starbucks on 23rd and 8th was a little less impressive. A smaller than average location, this Starbucks’ only uniqueness factor is a wall morale across from the barista bar. Other than that, we have ourselves a few small tables and the typical unisex restroom. Usually most Starbucks above a train station are “strictly business” but this one seems to be more bland than most.